If you adore Kjaer Weis foundation, but can’t find quite the right shade to match your skin tone, I’ve got an inexpensive alternative for you that boasts 17 shades and just-as-beautiful ingredients. Meet Araza Natural Beauty’s 7 in 1 Coconut Creme Foundation. You may remember it from my recent “makeup of the day” post, but consider this your formal first date. Created by Lindsey Diamond, a personal trainer and health coach, Araza Natural Beauty’s 7 in 1 Coconut Creme Foundation combines non-GMO coconut oil extract, beeswax, jojoba oil, rosehip oil and argan oil to create a rich, creamy base that blends perfectly without feeling heavy or greasy. I don’t have issues with coconut oil on my skin (I know some of you do! ), and this foundation did not cause me to break out or react in any way. But remember, everyone’s skin is different, so it’s wise to patch test and sample (and be cognizant of what triggers your skin to react!) before committing to a new product. It’s also got radish root, neem and green tea in it to calm inflammation and fight acne, making this foundation as much of a skincare product as well as a cosmetic. I like that the coverage is very buildable, and on “good skin” days, I can easily use Araza Natural Beauty’s 7 in 1 Coconut Creme Foundation as a spot treatment to lightly conceal and correct. As you can see in the before and after pictures above, this natural foundation did a phenomenal job of evening out my skin tone and lightening up the dark circles under my eyes. It melts into skin (I use a combination of fingers and a BeautyBlender to apply), and doesn’t cling to dry patches or look cakey. That’s a big win in a budding natural cosmetics world where foundation is one of the hardest items to update from conventional. It’s a pretty close match, though I could probably get away with a bit of Co. 14, too. As frustrating as it can be, no one foundation is ever really perfect for your skin! Sometimes it’s wise to have two on hand for a bit of custom blending and for different times of year. 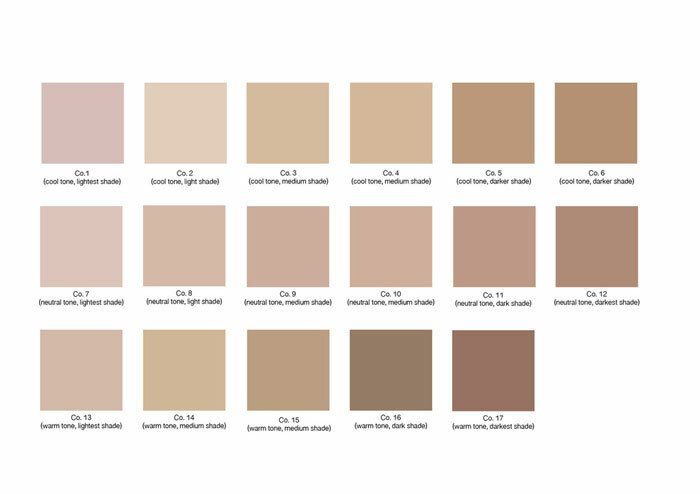 Araza Natural Beauty recognizes how difficult it can be to choose and buy foundation online; that’s why it has a handy foundation color guide and helpful swatches with descriptions (see below!) to help you narrow down your options. You can also order a sample kit to test out a few different shades without your skin tone family to ensure you get the right match before ordering a full size. Overall, I’m very impressed with the coverage, ingredients and pricing of Araza Natural Beauty’s 7 in 1 Coconut Creme Foundation. The plastic jar packaging isn’t the most chic or elegant, but it’s functional and keeps the cost low (and I don’t tend to pack my foundation with me when I leave the apartment, anyway). I like how thoughtful Lindsey was in creating a foundation guide and tip sheet, and it’s a no-brainer to offer foundation sample kits to customers who want to get the right match (yet many brands, big and small, still don’t do this?!). Because of all of the above, as well as the stellar color match, healthy ingredients and sweet service Araza Natural Beauty provides, the 7 in 1 Coconut Creme Foundation is on my repurchase list! Offer expires Friday, July 3, 2015! If coconut oil doesn’t work for your face, might I suggest picking up a few lippies (Cactus Flower is gorgeous), eye shadow (hello, Sundance) and blushers (Guava all the way) for your collection? What are your favorite natural, nontoxic foundations? What sort of coverage do you prefer? 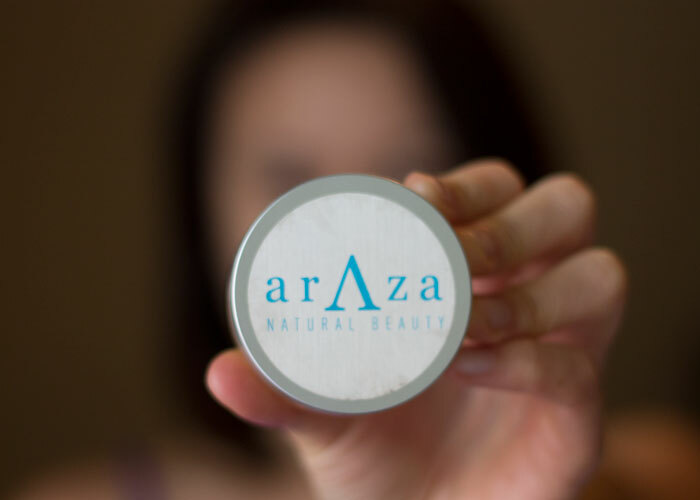 Have you tried Araza Natural Beauty yet? Tell me in the comments section!